Did you ever imagine your life had a soundtrack to it? Like you were in your own personal musical? There is always music running through my head. Oddly enough, I hate musicals. I always say how ridiculous is that – as if people just break into song at the drop of a hat. But there is always some song running through my head and sometimes just bursts out of my mouth. 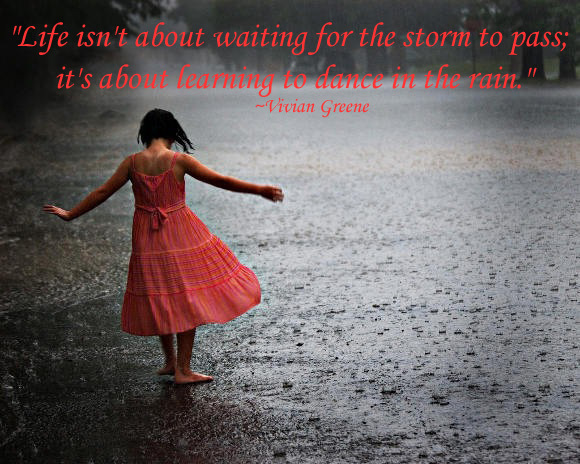 When I was little, I used to run outside to dance in the rain. Dancing and spinning around, getting soaking wet and loving it. Of course what is cute at five can be a bit… well… different at twenty-three. But still a lot of fun. I don’t know where it comes from. Genetic memory perhaps. 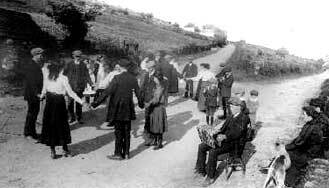 From the dancing at the crossroads in my ancestors’ day. But if there is any one soundtrack to my life, for most of my adult life, it has been The Saw Doctors. I have been reminded daily of this fact because they are uploading to their YouTube Channel. Not sure why. Would seem to hurt sales. But they are not touring this summer so maybe this is our consolation prize. Of course I already had all their CDs but now my iPod is full courtesy of their YouTube uploads. The soundtrack of my life. From I Useta Lover through all the rest, I couldn’t pick a favorite (well maybe sometimes, on certain days, N17) but that music is always there. It spent 35 weeks in the Irish charts including a record 9 weeks at #1 and became the best-selling single of all time in the country. Man, did she pick the right guy to get out & dance – that dude can bust some moves!! Thanks for the ‘Soundtrack of your Life’, Kate – splendid! I love this! Although I’m a born & raised American girl, I spent time living as an ex-pat in the Caribbean (check that story our on my blog). So I truly understand what you mean about the music elsewhere. I can still hear my island friends speaking in Patwah and singing joyously without a care in the world. There’s something freeing about singing and dancing. I think we Americans are too self-conscious to allow ourselves to let go like that. Great post!